With its mile-high setting in the tall pines of the Sierra National Forest, Tenaya Lodge at Yosemite treats groups to four-diamond hospitality at its peak. Silver LEED-certified conference facilities — 14 meeting venues that include the Grand Ballroom for up to 850 banquet guests — make the lodge the most comprehensive resort meeting destination in central California. Guests stay in 302 renovated guest rooms, suites, and cottages infused with High Sierra design and thoughtful amenities. Also, 50 new two-bedroom Explorer Cabins, debuting in summer 2019, feature communal fire pits and the Explorer Clubhouse. Five dining options start with upscale meals at Embers and “Sierra Alpine” cuisine by a crackling fire at Sierra Restaurant. Jackalope’s Bar & Grill, Harvest & Grounds Deli, and Timberloft Pizzeria offer casual settings. Outside, the lodge’s 75 acres hold endless possibilities. The Outdoor Pavilion and 3,300-square-foot Grand Terrace provide view-filled venues for gatherings in the pine-scented air. Opportunities for one-of-a-kind events include Summerdale barbecues and adventures at the historic Yosemite Mountain Sugar Pine Railroad. Additional all-season group activities include evening flashlight hikes, stargazing, fly-fishing, rock climbing, ice skating, skiing, and archery — not to mention pampering treatments at the Ascent Spa. Another crowning highlight of every stay: a visit to Yosemite National Park, whose south entrance lies just 2 miles away. Guests can make the most of their explorations with the resort’s guided park tours on open-air luxury buses. The staff is incredibly detail-oriented, answering questions before I could think to ask them. They're an amazing team, and I hope I get the opportunity to plan another event at Tenaya just so I can work with them again! Beautiful property, great location, and staff that are responsive and truly care about their guests. Tenaya Lodge at Yosemite is a stunning Sierra mountain resort hotel located in Fish Camp, CA just 2 miles from Yosemite National Park. This pet friendly resort is the epitome of Yosemite lodging with first class accommodations and close proximity to Yosemite’s many attractions. There are endless things to do at Yosemite National Park in spring such as hiking and climbing just to name a few. The picturesque national park is great for sightseeing excursions with backdrops of wildflowers and waterfalls. Visit Half Dome and enjoy the incredible views from Glacier Point. Tenaya Lodge is the perfect place to have your Yosemite Wedding. Fish Camp, California. The Lodge is located in the southern heart of the Sierra Nevada mountain range, two miles from the south entrance to Yosemite National Park along Highway 41. Tenaya Lodge is 48 miles from Fresno, 3 ½ hours from the San Francisco Bay Area, and 4 ½ hours from the Greater Los Angeles area. Tenaya Lodge at Yosemite is an all-season resort framed by noble evergreen forest and a rich range of Sierra recreation. The lodge, set adjacent to Yosemite National Park’s South Gate at an elevation of 5,288 feet, offers 302 rooms, suites and mountain cottage accommodations. Tenaya Lodge offers easy access to Yosemite’s iconic attractions and many guests savor the alpine serenity of the new Ascent Spa at Tenaya Lodge. Resort dining options run the table from casual to candlelit at Sierra, Jackalope’s, Timberloft and Embers restaurants. Guestroom Features:	Our guestrooms create a warm atmosphere with earth-toned wall coverings, wood trim, rustic artworks, warm lighting, and large overstuffed chairs dressed in native fabrics. Our rooms are perfect for relaxing after a long day on the trail or following a full day of meetings. All guestrooms provide views of the beautiful pine covered Sierra National Forest. Standard Room – Our standard rooms feature either one king bed or two oversized double beds. These rooms are over 350 square feet. Each deluxe room includes a full bath, individual room climate control, and a spacious, functional work desk with a computer data port nearby. Deluxe Room – Our deluxe rooms feature either one king bed or two oversized double beds. These rooms are over 350 square feet. Each deluxe room includes a full bath, individual room climate control, a spacious, functional work desk with a computer data port nearby, and a more desirable view. Cottage Room – Our three cottage types are single, duplex and triplex units. Our ground level cottages feature either one king bed or two queen beds and are over 335 square feet. The upper cottage suites feature one queen bed in a separate bedroom, or a pull-out sofa bed, and one king bed in the main room and are over 490 square feet. All of these rooms include a full bath, a fireplace with individual climate control, microwave, refrigerator, a work desk and patio or balcony. Extended Double Deluxe Room – This room is perfect for families that are looking for additional living space. With all the features and amenities of our Deluxe, the Extended Double offers 100 additional square feet, a pull-out sofa bed, small seating area and a private balcony. Junior Room – for the couple looking for an affordable upgrade from the Deluxe Room, the Junior Room offers just that. These rooms are over 425 square feet. The Junior Room features all the amenities of our Deluxe Room, a king bed, additional living space and a seating area with a pull-out sofa bed and coffee table. Spa Room – This room is perfect for a romantic getaway or when celebrating a special occasion. In addition to all the features of our Deluxe Room, the Spa Room offers 550 square feet of living space. This room includes a private balcony, full wet bar with refrigerator, seating area with a pull-out sofa bed and coffee table, an extra large bath area with a whirlpool tub separate from the shower. The Deluxe Suite – This suite is comprised of two rooms. These rooms are over 650 square feet. The living room area features a full wet bar with refrigerator, a seating area with a pull-out sofa bed, overstuffed chairs and coffee table. An additional dining table for four completes this wonderful room. The private bedroom area offers a standard bath area, king bed, second armoire with television and an overstuffed lounge chair. This room is perfect for entertaining other guests during their stay. The Luxury Suite – The living room area features a large dining/board room table that will seat eight people, a pull-out sofa bed and a private balcony. These rooms are over 850 square feet. The bedroom area has a second private balcony, a king bed, armoire with second television, walk-in closet and separate vanity/dressing area. This suite also features an extra large bath area with a whirlpool tub separate from the shower. These rooms are located on an adult-only floor of the property and are quite different than most of the Tenaya Lodge room styles. These fresh, modern suites evoke an urban flair in the mountains. Hardwood floors with throw carpets and bright white furniture make these rooms light, cozy and upscale. Large bathrooms with rain showers and slipper tubs sooth away Yosemite exploration. The Garden Suite – The Garden Suites at 550 square feet feature a king bed, a dry bar with refrigerator & microwave, pull-out sofa bed, 50” flat screen TV, remote-controlled cable television, a fireplace with individual climate control, a private patio area & a semi-private bedroom. The Contemporary Suite – The Contemporary Suites at 850 square feet, feature a king bed, a dry bar with refrigerator & microwave, a separate living room with “sectional” pull-out sofa bed, (2) 50” flat screen TV’s, remote-controlled cable television, a coffee table, a game table, a fireplace with individual climate control, a private patio area & a semi-private bedroom. Ascent Spa:		Set against the inspiring backdrop of Yosemite National Park and the Sierra Nevada range, Ascent Spa at Tenaya Lodge is a new destination where guests can reach elevated levels of relaxation and rejuvenation. 	This luxurious Northern California spa creates bliss via 12 treatment rooms for massages, facials and body treatments, all of which are intended to nourish, heal, relax and protect. It is the ideal retreat after an extended day exploring the park, hiking the surrounding woods or skiing snowy slopes. The 10,000-square-foot spa also offers dry saunas, steam rooms and an enhanced wellness center featuring cardio stations and strength training equipment. 	Ascent features an exclusive line of handcrafted Kimberly Parry Organics – one of the highest-rated certified organic skin care lines available – that offers a combination of natural, local sustainable herbal blends from the Yosemite region, reminiscent of a peaceful and refreshing walk through the High Sierra forest. This signature line as well as other wonderful products, accessories and gift items are available for purchase in our spa boutique. 	Waterfalls and Zen-inspired décor and furniture establish a nurturing ambiance at every turn. A well-equipped fitness area complete Tenaya’s “Ascent." FISH CAMP, Calif., Sept. 3, 2014 — Go big this fall in Yosemite. Perfect temperatures will keep you going as will the gorgeous golden hues in every direction. With fewer crowds, the park belongs to you. And when it’s time for some pre-hibernation relaxation, Tenaya Lodge at Yosemite is ready to welcome you with open arms. Fall visitors can blaze a trail and discover the best of the season with Tenaya Lodge at Yosemite as their base camp. With miles of wooded trails extending from its front doors, Tenaya is a hotspot for outdoorsy autumn activities like mountain biking and horseback riding. If wheels or hooves aren’t your preferred mode of transportation, the lodge’s nature guides lead daily morning and nighttime flashlight hikes. These leisurely strolls wend a path through towering Sugar Pines and aromatic Incense Cedars; introducing hikers to local flora and fauna, regional history, natural trail snacks like manzanita and lichen and, if all goes just right, some of the forest’s wildlife. More seasonal adventures can be found inside Yosemite National Park, which offers opportunities like painting and photography workshops, “Night Prowl” nature walks and moonlit tours of the gorgeous Yosemite Valley. For details on in-park activities, travelers can visit YosemiteConservancy.org, YosemitePark.com and NPS.gov/Yose. It’s last call for the Big Trees Tram Tour! Tenaya has long led guests to one of Yosemite’s most popular sights, the Mariposa Grove of Giant Sequoias, with its Big Trees Tour Package each fall. This season, the lodge says a fond farewell to the tram tour as the Mariposa Grove Restoration Project progresses. 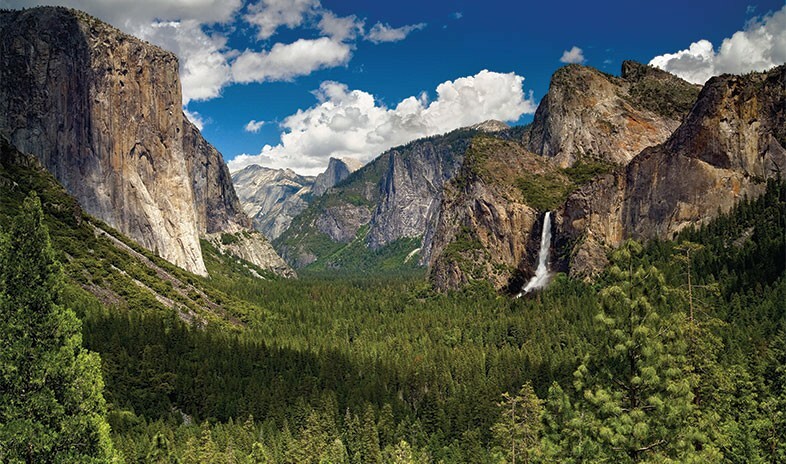 Helmed by the National Park Service and the Yosemite Conservancy, this two-year initiative will reverse the wear and tear that years of awe and interest have – unintentionally – caused and preserve its majestic beauty for generations to come. Aimed to be completed in conjunction with NPS’ centennial celebration in summer 2016, the project will move parking and visitor center location, reduce erosion, update trails, rebuild forested areas, put more educational programs in place and more. Take one of the last chances to see the grove on a 75-minute tram tour for two, part of a package that also includes breakfast for two and overnight accommodations midweek starting at $199 in November, $249 in October and $325 in September. Nestled amongst the fragrant Sierra National Forest, Tenaya Lodge’s cottages are the ultimate place to enjoy a couples’ escape. Lovebirds will “fall” in love with the new two-night Fall Cozy Cottages Offer, which gives a VIP experience at Tenaya’s cottages, complete with romantic fireplaces and private outdoor seating. Starting at just $245 per night, the offer includes bottle of wine and chocolate-covered strawberries upon arrival, a Yosemite park pass, daily breakfast for two and a discount at the luxurious Ascent Spa. Offer and rates good Sun. through Thurs. from Oct. 12 through Dec. 18. Couples can also indulge in services including facials, massages and body treatments, as well as packages like the Sugar and Spice Spa Package. This sweet offer features nightly accommodations for two in a Deluxe room or cottage, a brown sugar body scrub and a 30-minute massage add-on, starting at $365 midweek in Oct.
Find out more about autumn getaways, activities and packages at TenayaLodge.com. Tenaya Lodge at Yosemite is an all-season resort framed by noble evergreen forest and a rich range of Sierra recreation. The lodge, set adjacent to Yosemite National Park’s South Gate at an elevation of 5,288 feet, offers 302 rooms, suites and mountain cottage accommodations. Tenaya Lodge offers easy access to Yosemite’s iconic attractions and many guests savor the alpine serenity of the new Ascent Spa at Tenaya Lodge. Resort dining options run the table from casual to candlelit at Sierra, Jackalope’s, Timberloft and Embers restaurants. For more information, visit TenayaLodge.com. Delaware North Companies Parks & Resorts is an industry leader providing Stewardship and Hospitality in Special PlacesSM with hotel, retail, food service, recreation and transportation operations at historic and scenic properties in North America and Australia. The company operates Kennedy Space Center Visitor Complex and in Yellowstone, Grand Canyon, Sequoia and Yosemite national parks, including The Ahwahnee and other Yosemite lodges; Tenaya Lodge at Yosemite & the Cottages at Tenaya Lodge; Harrison Hot Springs Resort & Spa in British Columbia; Niagara Falls State Park; The Lodge at Geneva-on-the-Lake in Ohio; Gideon Putnam Resort in Saratoga; Holiday Inn West Yellowstone, Gray Wolf Inn & Suites and Yellowstone Park Hotel. The company also owns and operates five luxury resorts in Australia: Lizard Island Resort, Heron Island Resort, Wilson Island Resort, Kings Canyon Resort and El Questro Homestead and Wilderness Park. To learn more about Delaware North Companies’ hospitality management expertise, visit www.experiencednc.com. FISH CAMP, Calif., Sept. 24, 2014 — As brightly hued leaves fall on the Yosemite-Sierra region, cheerful shades of red hint at a fun and festive holiday season ahead. At Tenaya Lodge at Yosemite, plans are already in store to create a true winter wonderland and make “the most wonderful time of the year” just that. Guests seeking solace from the hustle and bustle of the season can take refuge at Tenaya, where planning and shopping gives way to relaxing by a cozy fire, dashing through the snow in a horse-drawn sleigh and enjoying a one-of-a-kind holiday with those most near and dear. At this Four Diamond resort, travelers can create an experience that’s relaxing, packed with wintry activities or anywhere in between – the celebration is yours to create. Just in time for Thanksgiving weekend, Tenaya’s ice skating rink will open on Nov. 26, inviting guests to lace up their skates and feel Jack Frost nipping at their nose. To offset all that chilling out, the lodge will have plenty of hot cocoa, s’mores and a roaring outdoor fire ready just steps away. For those whose greatest holiday wish is to make dishes disappear, Tenaya has all bases covered with three Thanksgiving Day feast options on Nov. 27. Work up an appetite as the smells of roasted turkey and pumpkin pie fill the lodge’s Grand Ballroom during a Thanksgiving Day Buffet accented by resplendent décor and live entertainment, or linger over special takes on holiday favorites at cozy Sierra Restaurant and elegant Embers. Tempted already? Be sure to book coveted seats at the Tenaya table before they’re gone – make a reservation by calling 559-692-8974. The holiday season also brings the return of a beloved Tenaya tradition – its Gingerbread House Decorating Workshop and competition. Adored by guests of all ages, this is a deliciously fun show for everyone. On Nov. 28 and 29 and Dec. 20, guests can marvel at intricate mansions and colorful cottages or try their hand at a creation of their own at this sweet contest. For only $60 per house, competition participants get decorating access to everything from gumdrops to marshmallows to build an original gingerbread masterpiece (and yes – adult beverages will be available amidst the flurries of sugar and spice!). While creative license and personal touches are encouraged, Tenaya’s Executive Chef, Frederick Clabaugh, will be on hand to help perfect the advanced art of the frosting icicle. Sparkling lights and glittering ornaments ignite “oohs” and “ahhs” as Tenaya decks the halls at the grand tree lighting ceremony on Nov. 29. While munching cookies, sipping cocoa and rubbing elbows with Santa; guests can marvel as the lodge’s towering, 35-foot tree is set aglow and the lobby is transformed into a cheery holiday haven. Staying true to green sensibilities, Tenaya’s tree is not only the biggest in Central California, it’s sustainably harvested, too. The lodge just “tops off” a Douglas Fir each year so the rest of the tree can continue to grow healthily for years to come. And, if the holiday season has a little extra sparkle in store for couples, the lodge’s enchanting grounds are the perfect place to pop the question when they’re all dressed up for the occasion. Magical experiences help create happy holiday memories year after year. After working up an appetite on the ice, families or couples can bond over a campfire treat with the S’more Skating Package, which includes lodging, ice skating and a s’mores kit; available Nov. 29 through Jan. 3. Tiny tots’ eyes will be all aglow when they get to whisper wishes to Santa with the Kids Dinner with Santa Package. This special experience features lodging and a dinner with elves and Santa himself for the little ones. Be sure to book early – with his busy schedule, Santa can only stop in on Dec. 22 and 23. If wintertime visits fall on Dec. 20 and 23, creative kids and adults alike can frost and flock to their hearts’ content at the Holiday Decorating Workshop. When Christmas Eve arrives, guests can gather ‘round and fill up on tasty dining specials at Sierra Restaurant, as well as indulge in the sweet results of the Christmas Eve Cookie Decorating Workshop. The lobby will be buzzing with the cheerful sounds of live entertainment and excitement when Mrs. Claus arrives to read ‘Twas the Night Before Christmas under the tree – the perfect way to send the kids off to bed with visions of sugar plums. After enjoying a spirited trek through the forest or a celebratory spin around the ice rink, Christmas Day tempts taste buds with a Grand Ballroom Christmas Day Buffet and special menus at Sierra and Embers. And when it’s time to say goodbye to 2014 and welcome in a new year, Tenaya will cap off the festivities with its extravagant New Year’s Eve celebration, featuring everything from a gourmet surf-n-turf dinner and a show-stopping performance from award-winning Las Vegas impressionist Greg London to special parties just for kids. More information on holiday happenings is available at TenayaLodge.com/HolidayEvents. FISH CAMP, Calif., Aug. 13, 2014— Although the Yosemite-Sierra region is renowned for its rustic beauty and awe-inspiring scenery, this holiday season, Tenaya Lodge at Yosemite is putting it on the map for hosting a Vegas-style New Year’s Eve bash like no other. To start the year off right, guests will have Lady Luck on their side when they place their bets on the lodge’s New Year’s Eve Package, offering an all-access pass to this high-class affair. At just $449 per couple, the package lets guests join in on the New Year’s Eve fun from start to finish. The night will begin with a gourmet plated “surf-n-turf” dinner for two, featuring lobster and filet mignon, as well as signature sippers at a two-hour hosted bar. Attendees will then take in the musical stylings of everyone from Elvis Presley to Ozzy Osbourne, all courtesy of award-winning entertainer and expert impressionist Greg London and his “Impressions That ROCK!” show. A renowned performer, London is the star of this headlining show in Las Vegas and has been recognized with awards including a two-time Nevada Magazine “Entertainer of the Year” honor. Following Greg’s show, revelers will have plenty of time to dance the night away with live music from the 14-piece band, as well as enjoy a midnight champagne toast, party favors and festive balloon drop. When the night draws to a close, guests will take the elevator home to spend the first night of 2015 in one of Tenaya’s luxurious Deluxe guest rooms. And, although there’s nothing like the full New Year’s Eve experience, Tenaya is offering two additional non-lodging options for the night. Guests can book the full New Year’s Eve Bash without lodging for only $150 inclusive per person. For those who want to skip the reception and dinner, guests can join in on just the show and dancing, 9pm until 1am, for $80 inclusive per person. Children 13 and older are welcome at the main party, but little ones will have a fun evening of their own in store at two kids-only celebrations. The lodge will host supervised parties for children 4-8 and children 9-12, with a special dinner and age-appropriate entertainment included at $60 per child. Onsite childcare is also available. To add additional adults or older children to your package after booking, arrange a kids’ New Year’s Eve experience or discuss options for children under 4, guests can contact the Tenaya concierge at 559-692-8974. To learn more about New Year’s Eve and other holiday opportunities and packages at Tenaya, visit TenayaLodge.com/NewYears and TenayaLodge.com/HolidayEvents. Newsmaker Alert / Winter may bring snow and chilly weather to Yosemite National Park, but activities and specials are just starting to heat up. Located just outside of the park gates, Tenaya Lodge at Yosemite is a luxurious AAA Four Diamond rated resort that serves as a perfect base camp for any park explorer. To help guests welcome in winter weather, Tenaya is offering a number of seasonal packages with the great outdoors in mind. Starting at $199, the midweek Sierra Snowshoe Package includes accommodations and breakfast and snowshoe rentals for two; while the Skate the Sierra Package features a one-night stay, ice skate rentals and rink access, and a sweet s’mores kit from $169 starting Jan. 1. Families can expect fun in the snow and an incredible weekday value with the lodge’s midweek Winter Stay ‘n’ Play Pass, which offers an all-day Badger Pass lift ticket, ski or snowboard rental, a group lesson, a tubing session, as well as a Yosemite Valley outdoor ice skating session with rentals and a Yosemite Valley floor tour for just $70 per adult and $40 per child 12 and under beginning December 13, weather permitting. The pass gives visitors the opportunity to take in all of the winter adventures Yosemite has to offer in one fun experience. The brand new Stay 2, Ski Free offer, which includes a two-night midweek stay, a seven-day Yosemite National Park Pass and two FREE all-day Badger Pass lift tickets starts at just $159 per night – a savings of up to $94! To secure this offer, travelers can use promotional code SKIFREE when booking their stay. AAA members, AARP members and military servicemen and women can also receive special Tenaya discounts throughout the season. Visit TenayaLodge.com/Specials for more details on winter packages and offers. Ski and snowboard enthusiasts will be thrilled to hit the powder at Badger Pass Ski Area. Badger Pass offers free lift tickets to seniors 65 and up Monday through Friday; free lift tickets, rentals and group lessons to active and retired military personnel all season; and 50% off lift tickets, lessons and rentals for immediate military family members. For couples looking to snuggle up in the snow, Tenaya’s Snow Time for Romance package includes a one-night stay in a Deluxe room, welcome champagne and chocolates, VIP turndown service with rose petals and Hershey Kisses, and a s’mores kit to enjoy fireside. The Snow Time for Romance Package begins at $189 and is available starting on January 1. When Valentine’s Day rolls around, couples can enjoy a romantic trip with a Valentine’s Getaway Package. Available only on February 14, this luxurious package features a one-night stay in a spa suite, breakfast for two, VIP turndown service with conversation hearts and rose petals, a bottle of champagne and chocolate-covered strawberries; starting at $469. Couples can enjoy the Ascent Spa120 Special, which delivers up to $120 in savings and 10% off dining for a two-night stay, starting at just $139 per night. On March 28-30, Tenaya Lodge will host the first-ever Yosemite Healthy Living Retreat. During this weekend-long experience, guests will have exclusive access to wellness education and experiences on topics ranging from fitness to nutrition, as well as special treatments in the Double Silver LEED-certified Ascent Spa with products from Kimberly Parry Organics and a hands-on culinary class and dinner with Executive Chef Frederick Clabaugh. With packages priced at $999 for double occupancy and $619 for single occupancy, the wellness retreat is a fantastic way to experience one of USA Today’s top 12 wellness resorts in the world. Details will be posted to TenayaLodge.com/YosemiteHealthyLiving. For those waiting for spring in Yosemite, the early bird gets the deal. Book by February 1 to take advantage of Tenaya’s Early Bird Spring Special for an April 1 through May 13 getaway. Guests will receive breakfast for two and a FREE Yosemite Park Pass, starting from only $215. Use promotional code EARLYBIRD when booking. To learn more about Tenaya Lodge at Yosemite, visit TenayaLodge.com. Delaware North Companies Parks & Resorts is an industry leader providing Stewardship and Hospitality in Special Places (SM), with hotel, retail, food service, recreation and transportation operations at historic and scenic properties in North America and Australia. The company operates Kennedy Space Center Visitor Complex and in Yellowstone, Grand Canyon, Sequoia and Yosemite national parks, including The Ahwahnee and other Yosemite lodges; Tenaya Lodge at Yosemite & the Cottages at Tenaya Lodge; Harrison Hot Springs Resort & Spa in British Columbia; Niagara Falls State Park; The Lodge at Geneva-on-the-Lake in Ohio; Gideon Putnam Resort in Saratoga; Holiday Inn West Yellowstone, Gray Wolf Inn & Suites and Yellowstone Park Hotel. The company also owns and operates five luxury resorts in Australia: Lizard Island Resort, Heron Island Resort, Wilson Island Resort, Kings Canyon Resort and El Questro Homestead and Wilderness Park. To learn more about Delaware North Companies’ hospitality management expertise, visit www.ExperienceDNC.com. To learn more about Delaware North Parks & Resorts, visit www.DelawareNorth.com/Parks-and-Resorts.aspx. Delaware North Companies is one of the world’s leading hospitality and food service providers. Its family of companies includes Delaware North Companies Parks & Resorts, Delaware North Companies Gaming & Entertainment, Delaware North Companies Travel Hospitality Services, Delaware North Companies Sportservice, Delaware North Companies International and Delaware North Companies Boston, owner of TD Garden. Delaware North Companies is one of the largest privately held companies in the United States with revenues exceeding $2.7 billion annually and 55,000 associates serving half a billion customers in the United States, Canada, the United Kingdom, Australia and New Zealand. For more information, visit www.DelawareNorth.com. Fish Camp, CA – September 2013 / Hospitality 1ST / Dreaming of warm gingerbread, the scent of fresh pine, crisp mountain air and crackling fires this holiday season? Look no further than Tenaya Lodge at Yosemite, a Four Diamond mountain retreat tucked in the Southern Yosemite Sierra, waiting for you and your family to come home for the holidays. The holiday season is an annual treat at the four-season Tenaya Lodge resort located two miles from Yosemite National Park’s South Gate. This year, Tenaya has gone above and beyond to create magical holiday memories for all ages. The winter fun begins Thanksgiving week with the season opening of the popular Tenaya Lodge Ice Skating Rink on Nov. 27. Get a head start on the mistletoe season by taking advantage of the S’more Ice Skating package that includes ice skating sessions and rentals for two as well as a S’mores kit to be enjoyed in the warm glow of an open fire beginning Nov. 27, starting at $185 per night. Reservations are now available for the lavish Tenaya Grand Ballroom Thanksgiving Buffet Nov. 28 from 11:30 a.m. to 6:30 p.m. featuring live entertainment and festive decór. The Sierra and Embers restaurants have created special dinner menus as well designed to reward every palate with a savory Thanksgiving meal. The Thanksgiving week fun continues Nov. 29 with the crowd-pleasing Gingerbread House Decorating Workshop. Complimentary holiday beverages and cookies will flow the evening of Nov. 30 as the Tenaya Lodge lobby transforms into a Yosemite Sierra holiday wonderland with entertainment and a towering, thirty foot Sierra-grown Christmas tree as its centerpiece. A visit and photos with Santa Claus caps off the weekend’s celebrations! The holiday cheer and decorations at Tenaya will shine so bright that even Santa will find them hard to resist! Old Saint Nick will be a regular visitor to the lodge and kids and adults alike can team up to test their gingerbread house decorating skills or, through the Kids Dinner With Santa package for children 4 to 12, enjoy a special evening with Santa and his Tenaya-based ‘elves’. After an activity, craft, and joy-filled two hours with the elves, children will dine and take a photograph with Santa – giving them a chance to put in that special request this Christmas! Space is limited; sign up early for the Dec. 21, 22 and 23 offering dates, packages start at just $269! Mrs. Claus will join holiday revelers on Christmas Eve to share some of her cookie decorating secrets and a reading of “T’was the Night Before Christmas” for good girls and boys who will head off to bed with visions of candy cane turndown service and more surprises. The Christmas Day Buffet held in the Grand Ballroom will keep the family fun going as will family movie nights planned throughout the week. Dining reservations are available now. Did the excitement of Christmas rile up your little one? Take advantage of the popular Kids Spa, returning for another holiday season. Children will learn all about age-appropriate skin care and spa services while sampling some of the spa’s favorite products. Adults, of course, will find the Ascent Spa at Tenaya an oasis throughout the holidays. A relaxing Swedish, detoxifying reflexology or more vigorous massage will warm chilled muscles while a custom facial will treat, moisturize and refresh tired skin. Bid farewell to the old year and usher in 2014 with Tenaya’s New Year’s Eve Gala in the Grand Ballroom including live entertainment, party favors, gourmet dinner and midnight champagne toast and balloon drop. The lodge hosts a children’s party for those with kids and both of these parties will have young and old dancing the night away until well after the clock strikes midnight. More good news: the package includes a late check out! For more information, call toll-free, 888-514-2167, or visit TenayaLodge.com/Holiday for holiday packages and TenayaLodge.com/HolidayEvents for holiday events and activities. Delaware North Companies Parks & Resorts is an industry leader providing Stewardship and Hospitality in Special Places (SM) with hotel, retail, food service, recreation and transportation operations at historic and scenic properties in North America and Australia. The company operates Kennedy Space Center Visitor Complex and in Yellowstone, Grand Canyon, Sequoia and Yosemite national parks, including The Ahwahnee and other Yosemite lodges; Tenaya Lodge at Yosemite & the Cottages at Tenaya Lodge; Harrison Hot Springs Resort & Spa in British Columbia; Niagara Falls State Park; The Lodge at Geneva-on-the-Lake in Ohio; Gideon Putnam Resort in Saratoga; Holiday Inn West Yellowstone, Gray Wolf Inn & Suites and Yellowstone Park Hotel. The company also owns and operates five luxury resorts in Australia: Lizard Island Resort, Heron Island Resort, Wilson Island Resort, Kings Canyon Resort and El Questro Homestead and Wilderness Park. To learn more about Delaware North Companies’ hospitality management expertise, visit www.ExperienceDNC.com. Delaware North Companies is one of the world’s leading hospitality and food service providers. Its family of companies includes Delaware North Companies Parks & Resorts, Delaware North Companies Gaming & Entertainment, Delaware North Companies Travel Hospitality Services, Delaware North Companies Sportservice, Delaware North Companies International and Delaware North Companies Boston, owner of TD Garden. Delaware North Companies is one of the largest privately held companies in the United States with revenues exceeding $2.6 billion annually and 55,000 associates serving half a billion customers in the United States, Canada, the United Kingdom, Australia and New Zealand. For more information, visit www.DelawareNorth.com. Yosemite National Park, CA – August 2013 / Hospitality 1ST / The vast majority of hiking trails and services in Yosemite National Park are not affected by the Rim Fire, which is located approximately 20 miles from Yosemite Valley. The Big Oak Flat north entrance/Highway 120 west remains closed while work continues on the Rim Fire. Highways 41, 140, and 120 from the east (Tioga Road) are open. Tioga Road, from Crane Flat to White Wolf, will be temporarily closed to all vehicular traffic beginning Wednesday, August 28, 2013, at 12 p.m. The closure is anticipated to last at least through Labor Day weekend. The Tuolumne Meadows Lodge, High Sierra Camps and other visitor services in the Tuolumne Meadows area will remain open and accessible through the east entrance. While the fire is not anticipated to reach White Wolf, the National Park Service has vacated the lodge and the campgrounds in that area as a precaution. Delaware North Companies Parks & Resorts has contacted guests with future reservations for White Wolf Lodge to offer them alternative accommodations in Yosemite or to make other arrangements. Park visitors are encouraged to visit the National Park Service website at www.nps.gov/yose for additional closures and updates. Detailed information on alternate routes to Yosemite during the Rim Fire is available on the Delaware North Companies Parks & Resorts at Yosemite website. Webcams provided by Yosemite Conservancy show current conditions. For information on the Rim Fire, media should contact the Incident Command Post at 805-727-4775 or visit www.inciweb.org/incident/3660. Delaware North Companies Parks & Resorts is an industry leader, providing Stewardship and Hospitality in Special Places (SM) with hotel, retail, food service, recreation and transportation operations at historic and scenic properties in North America and Australia. The company operates The Lodge at Geneva-on-the-Lake in Ohio; Harrison Hot Springs Resort & Spa in British Columbia; Gideon Putnam Resort in Saratoga Springs, N.Y.; and in Niagara Falls State Park., as well as Kennedy Space Center Visitor Complex in Florida and numerous operations within National Parks such as Yellowstone, Grand Canyon, Sequoia, Olympic, Shenandoah and Yosemite. Tenaya Lodge at Yosemite and the Park Gate Lodges at Yellowstone, including the West Yellowstone Holiday Inn, Gray Wolf Inn and Suites and Yellowstone Park Hotel are owned and operated by the company. Internationally, the company operates five luxury resorts in Australia: Lizard Island Resort, Heron Island Resort, Wilson Island Resort, Kings Canyon Resort and El Questro Homestead and Wilderness Park. To learn more about Delaware North Companies’ hospitality management expertise, visit www.DelawareNorth.com/parks-and-resorts-home.aspx. Delaware North Companies is one of the largest and most admired privately held hospitality companies in the world. Founded and owned by the Jacobs family for nearly 100 years, it is a global leader in hospitality and food service. Its family of companies includes Delaware North Companies Parks & Resorts, Delaware North Companies Gaming & Entertainment, Delaware North Companies Travel Hospitality Services, Delaware North Companies Sportservice, Delaware North Companies International and Delaware North Companies Boston, owner of TD Garden. Delaware North Companies has revenue exceeding $2.6 billion annually and 55,000 associates serving half a billion customers in the United States, Canada, the United Kingdom, Australia and New Zealand. For more information, visit www.DelawareNorth.com. Tenaya Lodge near Yosemite National Park was recognized recently with a 2013 Pinnacle Award for its meeting accommodations. The award has been given out for the last 28 years by Successful Meetings, an online source for news and information on meeting, convention and trade show professionals. Tenaya Lodge was one of several hotels to be honored after online ballots and feedback from voters came in to determine the best in accommodating meetings, events, conferences and offering incentive programs. Many were also recognized in the category of conference centers and convention and visitors bureaus. Tenaya Lodge will soon be listed in Successful Meetings' annual Pinnacle Registry, published in August both in hard copy and online at successfulmeetings.com/pinnacle. Tenaya Lodge, operated by Delaware North Companies Parks & Resorts, is a year-round resort located in Fish Camp off of Highway 41 two miles south of Yosemite National Park's south gate. An expansion completed a few years ago brought the lodge to 15,000 square feet of meeting space, including a 10,000 square-foot ball room and a 4,500 square-foot lobby and two 3,000 square-foot space with the resort's Signature Grand Terrace and Outdoor Pavillion. Fish Camp, CA – March 2013 / Hospitality 1ST / Tenaya Lodge at Yosemite will honor Earth Hour with a weekend of eco-experiences in keeping with its commitment to environmental sustainability and operator Delaware North Companies’ green travel industry leadership. Organized by the World Wildlife Fund (WWF), Earth Hour has grown from a single-city initiative into a global movement inspiring millions of people to join together to show their concern for the future of the planet. Earth Hour will be celebrated worldwide from 8:30 to 9:30 p.m., Sat., March 23. Lantern Project Workshop: From 4 to 6 p.m., guests are invited to join Tenaya Lodge associates to make lanterns that will illuminate the lobby during Earth Hour. Lantern Lighting: When the lights go off for Earth Hour from 8:30 to 9:30 p.m., the lanterns created in the workshop will illuminate the lobby. Cooking with Sustainable Food: From 8:30 to 9:30 p.m. in the lobby, Executive Chef Frederick Clabaugh CCC will demonstrate cooking with sustainable ingredients and provide tastes for guests. Tenaya Lodge Gift Shop will honor Earth Hour by offering 20% off the purchase of a selection of eco-friendly products on Friday and Saturday. Sierra Restaurant and Jackalope’s Bar & Grill will present organic and sustainable menu specials throughout the weekend. For more information on Tenaya Lodge at Yosemite’s Earth Day Events, visit TenayaLodge.com/SpecialEvents or call the Concierge at 888-514-2167, option 3. Tenaya Lodge’s participation in Earth Hour is only natural, as its parent company, Delaware North Companies, is an industry leader in environmental stewardship. GreenPath® is Delaware North’s ISO 14001-registered environmental management system to protect the special places it operates in. Tenaya Lodge is also a certified Leadership in Energy and Environmental Design (LEED) Double Silver property, the official U.S. Green Building Council standard that recognizes the resort’s sustainable building and operating principles and practices. To learn more about Tenaya Lodge at Yosemite’s GreenPath® environmental stewardship program, visit www.TenayaLodge.com/GreenPath. For more information or to make reservations, call Tenaya Lodge at Yosemite at 888-514-2167 or visit www.TenayaLodge.com. Tenaya Lodge at Yosemite is an all-season resort framed by noble evergreen forest ad a rich range of Sierra recreation. The lodge, set adjacent to Yosemite National Park’s South Gate at an elevation of 5,288 feet, offers 302 rooms, suites and mountain cottage accommodations. Tenaya Lodge offers easy access to Yosemite’s iconic attractions and many guests savor the alpine serenity of the new Ascent Spa at Tenaya Lodge. Resort dining options run the table from casual to candlelit at Sierra, Jackalope’s, Timberloft and Embers restaurants. For more information, visit the newly redesigned website, www.TenayaLodge.com. Delaware North Companies Parks & Resorts is an industry leader providing Stewardship and Hospitality in Special Places SM, with hotel, retail, food service, recreation and transportation operations at historic and scenic properties in North America and Australia. The company operates Kennedy Space Center Visitor Complex and in Yellowstone, Grand Canyon, Sequoia and Yosemite national parks, including The Ahwahnee and other Yosemite lodges; Tenaya Lodge at Yosemite & the Cottages at Tenaya Lodge; Harrison Hot Springs Resort & Spa in British Columbia; Niagara Falls State Park; The Lodge at Geneva-on-the-Lake in Ohio; Gideon Putnam Resort in Saratoga; Holiday Inn West Yellowstone, Gray Wolf Inn & Suites and Yellowstone Park Hotel. The company also owns and operates five luxury resorts in Australia: Lizard Island Resort, Heron Island Resort, Wilson Island Resort, Kings Canyon Resort and El Questro Homestead and Wilderness Park. To learn more about Delaware North Companies’ hospitality management expertise, visit www.ExperienceDNC.com. FISH CAMP, Calf. (April 20, 2012) – Delaware North Companies Parks & Resorts has earned double Silver LEED certification at Tenaya Lodge at Yosemite, an all-season resort located just outside of Yosemite National Park in Fish Camp, Calif. Both certifications follow a yearlong project that expanded Tenaya’s banquet, event and meeting spaces and office area, plus added a destination spa. Delaware North, which owns and operates Tenaya, followed a process laid out by its environmental program, GreenPath, to ensure environmental stewardship and measurable green practices. The company worked with Layton Construction Company and architect Peter Grove of Collaborative Design Studio. The Silver LEED-certified expansion brings Tenaya Lodge’s total indoor meeting area to 15,000 square feet of flexible, full-service conference space. This includes a 10,000-square-foot ballroom, 4,500 square feet of pre-function space and 14 meeting rooms. Taking full advantage of its national forest setting, Tenaya’s outdoor function space features the new 3,000-square-foot Signature Grand Terrace and a 3,000-square-foot outdoor pavilion. The new Ascent Spa at Tenaya Lodge also earned Silver LEED certification. The 10,000-square-foot destination spa features 12 treatment rooms, men’s and women’s dry saunas and steam rooms, three relaxation rooms, and a wellness center with exercise and fitness rooms. The Ascent Spa boutique features lines with indigenous, local and organic products. Developed by the U.S. Green Building Council (USGBC) in 2000, Leadership in Energy and Environmental Design (LEED) certification provides independent, third-party verification that a building was designed and built using strategies aimed at achieving high performance. LEED focuses on key areas of human and environmental health: sustainable site development, water savings, energy efficiency, materials selection and indoor environmental quality. LEED certification is based on a series of points earned through each action completed to LEED standards. One of the ways Delaware North earned points was using several LEED-accredited professionals on the design and construction teams for the spa and conference center, such as Senior Project Manager Mike Gilbert. Water efficiency: Based on similar buildings, the Tenaya Lodge spa and conference expansion reduced its water consumption by 40 percent. This was accomplished by using low-flow water closets, low-flow urinals and ultra-low-flow sink faucets. Energy and atmosphere: The Tenaya Lodge spa reduced its air conditioning energy consumption 15 percent compared to a typical space. The Tenaya Lodge conference center addition is designed to reduce its total energy consumption 14 percent below the national standard. These facilities also use Energy Star equipment to minimize electricity consumption. Among the construction highlights are the use of non-VOC (volatile organic compounds) paints, and low-VOC carpet glue, sealants and caulking. None of the adhesives, sealants and paints used in the expansion emit harmful fumes. Extra effort was made to keep ducts closed while installing the heating, ventilation and air conditioning (HVAC) system. This strategy kept the ducts clean and stopped the filter from recycling dirt and dust. Many of the materials used to construct the Tenaya Lodge spa and conference center contain recycled content. More than 20 percent of the materials in the building (based on material value) are recycled, reducing the environmental impacts of processing and manufacturing efforts. This includes the original office furniture. The majority of the wood used for the Tenaya Lodge spa and conference center was certified by the Forest Stewardship Council (FSC) and is formaldehyde-free. Wool carpet was used to provide a natural material. Locally-sourced materials were used as often as possible. All of the construction waste and demolition debris was moved into a series of dumpsters in the hotel’s parking lot. All of the debris was sorted on site. About 89 percent of the debris was diverted from a landfill by recycling numerous dumpster loads of steel, concrete and carpet pad. Note: Photos of construction phase and completed project are available. Tenaya Lodge at Yosemite is an all-season resort framed by noble evergreen forest and a rich range of Sierra recreation. The lodge, set adjacent to Yosemite National Park’s South Gate at an elevation of 5,288 feet, offers 302 rooms, suites and mountain cottage accommodations. Tenaya Lodge offers easy access to Yosemite’s iconic attractions, and many guests savor the alpine serenity of the new Ascent Spa at Tenaya Lodge. Resort dining options run the table from casual to candlelit at Sierra, Jackalope’s, Timberloft and Embers restaurants. For more information, visit the newly redesigned website, www.TenayaLodge.com. Delaware North Companies Parks & Resorts is an industry leader providing Stewardship and Hospitality in Special Places SM, with hotel, retail, food service, recreation and transportation operations at historic and scenic properties in North America and Australia. The company operates Kennedy Space Center Visitor Complex and in Yellowstone, Grand Canyon, Sequoia and Yosemite national parks, including The Ahwahnee and other Yosemite lodges; Tenaya Lodge at Yosemite; Harrison Hot Springs Resort & Spa in British Columbia; Niagara Falls State Park; The Lodge at Geneva-on-the-Lake in Ohio; Gideon Putnam Resort in Saratoga; Holiday Inn West Yellowstone, Gray Wolf Inn & Suites and Yellowstone Park Hotel. The company also owns and operates five luxury resorts in Australia: Lizard Island Resort, Heron Island Resort, Wilson Island Resort, Kings Canyon Resort and El Questro Homestead and Wilderness Park. To learn more about Delaware North Companies’ hospitality management expertise, visit www.experiencednc.com. Delaware North Companies is one of the largest and most admired privately held hospitality companies in the world. Founded and owned by the Jacobs family for nearly 100 years, it is a global leader in hospitality and food service. Its family of companies includes Delaware North Companies Parks & Resorts, Delaware North Companies Gaming & Entertainment, Delaware North Companies Travel Hospitality Services, Delaware North Companies Sportservice, Delaware North Companies International and Delaware North Companies Boston, owner of TD Garden. Delaware North Companies has revenue exceeding $2.6 billion annually and 55,000 associates serving half a billion customers in the United States, Canada, the United Kingdom, Australia and New Zealand. For more information, visit www.DelawareNorth.com. Tenaya Lodge at Yosemite owes its name to legendary Chief Tenaya of the Southern Sierra Miwok or "Ahwahneechee" people ("Yosemite" is derived from the Ahwahneechee word for grizzly bear). From Yosemite history and lore, we know that Tenaya was raised among his mother's people, the Mono Lake Paiutes, in the early 19th century; his father was descended from Ahwahneechee chiefs who were among the first humans to live in the Yosemite Valley. As a boy, Tenaya listened to tribal storytellers talk of the "deep and grassy valley" that his father was forced to leave when a frontier illness felled his people. He soon left Mono Lake and traveled the crests of the Sierra to discover his father's valley. Finally encountering Yosemite Valley, the awestruck Tenaya explored every corner of it. The mountaineering skills learned from his family were put to good use in this dramatic alpine landscape. Tenaya's band thrived, and in time his children had children. According to the legend and history of Yosemite, Tenaya was repeatedly drawn to Half Dome. One day, distracted by the ethereal beauty of Yosemite Valley, he nearly collided with a grizzly bear. Realizing that escape was impossible, he battled with the bear. Tenaya awoke in the dead grizzly's arms. Badly injured, he returned to his village as a hero -- inspiring stories, song, and eventually the name of a legendary mountain resort. FISH CAMP, Calif. (July 2, 2010) –Tenaya Lodge at Yosemite today announced the opening of Ascent, the Spa at Tenaya Lodge, an inviting spa and wellness center designed for maximum relaxation and rejuvenation. Set against the backdrop of Yosemite National Park and the Sierra Nevada mountains, the new spa draws inspiration from the beauty and tranquility of the surrounding area while celebrating and preserving its natural resources. Ascent, the Spa at Tenaya Lodge, features 12 treatment rooms for massages, facials and body treatments, all of which are intended to nourish, heal, relax and protect – an ideal retreat after exploring Yosemite, hiking the woods or as a way to slowly unwind. The 10,000-square-foot spa also offers dry saunas, steam rooms and an enhanced wellness center featuring exercise & fitness rooms with instructor-led classes. Among Ascent’s therapeutic massages is a signature massage with a healing blend of indigenous botanical oils from the Southern Sierra that include evening primrose, rosehip, sunflower and castor oil, as well as a sports relief massage that incorporates a combination of muscle-specific therapy and a moisturizing and healing body butter that reduces inflammation. The Spa’s facial treatments utilize sustainably grown, hand-harvested and USDA certified organic products in all services, and body treatments such as wraps and scrubs, serve to sooth and refresh body and spirit. The Spa Boutique within Ascent offers a wide array of locally produced, hand-crafted and certified organic products from industry leader- Kimberly Parry, of which, a line developed exclusively for Ascent guests, as well as Benedetta, which uses certified organic, biodynamic and sustainable ingredients, and Shea Terra Organics, which has been developing fair trade, high quality healing products from African ingredients for a decade. For more information about Ascent, the Spa at Tenaya Lodge, including services and vacation packages, please visit TenayaLodge.com/spa or call 888-514-2167 option 3. Delaware North Companies Parks & Resorts is a subsidiary of Delaware North Companies, a leading hospitality provider with significant experience in hotel, retail, food service, recreation and transportation operations. The company’s portfolio includes historic properties in North America, such as Kennedy Space Center Visitor Complex; Yosemite, Sequoia, Yellowstone and Grand Canyon national parks; Tenaya Lodge; Harrison Hot Springs Resort & Spa; Niagara Falls State Park; Jones Beach; The Lodge at Geneva-on-the-Lake; Holiday Inn West Yellowstone; Gideon Putnam Resort; and the Queen Mary. To learn more about Delaware North Companies’ expertise in the hospitality industry, visit www.experiencednc.com. BUFFALO, N.Y. (October 14, 2009) – Tenaya Lodge at Yosemite National Park plans to open an enhanced comprehensive meeting and event space in the Summer of 2010. The expanded conference setting will include six new meeting rooms and 15,000 square feet of indoor meeting space, including a 10,000-square-foot ballroom. Pre-function space will increase to 4,500 square feet for exhibits and receptions. All of this is in addition to Tenaya Lodge’s several dining, outdoor and special-event facilities. Unique to this new conference center will be the Signature Grand Terrace, which offers breathtaking vistas of Yosemite National Park and is perfect for outdoor receptions and dining. Groups will also be able to enjoy the 3,000-square-foot outdoor pavilion that can be left open or enclosed. The space is ideal for outdoor dining, special events and teambuilding activities. Tenaya Lodge’s tenured sales and conferences team also helps to ensure that meetings and events surpass guests’ expectations. This group can assist with everything from developing themes to handling regional transportation needs and meeting all technology requirements. Tenaya Lodge’s culinary staff caters all meetings at Tenaya Lodge at Yosemite and can help design sustainable menus that highlight local produce. Spa products. Guests will also be able to exercise in a new fitness facility that includes free weights, Nautilus machines and cardio equipment. A wall of waterfalls will welcome guests to the Ascent Spa at Tenaya Lodge and help them relax the moment they enter. These expansion efforts come on the heels of Tenaya Lodge at Yosemite’s acquisition of the Apple Tree Inn earlier this year. That acquisition bolstered the resort’s accommodations. On the culinary side, Tenaya Lodge at Yosemite has opened two new restaurants in 2009: the upscale Embers Restaurant and casual-dining Timberloft Pizzeria. “These expansion projects -- Ascent Spa at Tenaya Lodge, our new conference space and the acquisition of Apple Tree Inn -- make Tenaya Lodge at Yosemite one of California’s premier resorts,” said McCann. Tenaya Lodge at Yosemite is nestled in the Sierra National Forest, just 2 miles from the south entrance of Yosemite National Park. Tenaya Lodge offers easy access to Yosemite’s most alluring attractions and all of the conveniences and services expected of a luxury resort property. For more information, visit www.TenayaLodge.com. BUFFALO, N.Y. (July 17, 2009) – Tenaya Lodge at Yosemite has opened the newly built Embers Restaurant, offering an intimate, elegant upscale dining experience for hotel guests and local residents alike. Offering some of the freshest regional cuisine and an unrivaled atmosphere both indoors and out, it’s no surprise that dining at Tenaya Lodge is at the top of traveler’s lists. From relaxed, family-friendly options to upscale, private experiences, guests find a wide range of cuisine to choose from at Tenaya’s five dining venues. The new restaurant prides itself on creating local, sustainable California cuisine to perfection. Current menu items feature many of summer’s finest ingredients including an exotic fruit gazpacho with wild berry, passion fruit, melon and chile seco, rattlesnake salad and braised range buffalo short ribs, with a hint of mole cabernet and root vegetables. Brand new and built for Embers, the new restaurant space features a double-sided stone fireplace, elegant high-back crimson chairs and personal tableside service. With the professional, high service staff catering to their every need, guests are sure to feel pampered during their visit. Clabaugh and his staff will also feature several local wine selections from California’s finest wine growing regions including Sonoma, Napa and Mendocino counties. For more information, including a sample menu and hours please visit www.TenayaLodge.com. Delaware North Companies Parks & Resorts is a subsidiary of Delaware North Companies, a leading hospitality provider with significant experience in hotel, retail, food service, recreation and transportation operations. The company’s portfolio includes historic properties in North America, such as Kennedy Space Center Visitor Complex; Yosemite, Sequoia, Yellowstone and Grand Canyon national parks; Asilomar State Beach and Conference Grounds; Tenaya Lodge; Harrison Hot Springs Resort & Spa; Niagara Falls State Park; Jones Beach; The Lodge at Geneva-on-the-Lake; Holiday Inn West Yellowstone; and Gideon Putnam Resort. To learn more about Delaware North Companies’ expertise in the hospitality industry, visit www.experiencednc.com. Delaware North Companies is one of the world’s leading hospitality and food service providers. Its family of companies includes Delaware North Companies Parks & Resorts, Delaware North Companies Gaming & Entertainment, Delaware North Companies Travel Hospitality Services, Delaware North Companies Sportservice, Delaware North Companies International and Delaware North Companies Boston, owner of TD Banknorth Garden. Delaware North Companies is one of the largest privately held companies in the United States with revenues exceeding $2 billion annually and 50,000 associates serving half a billion customers in the United States, Canada, the United Kingdom, Australia and New Zealand. For more information, visit www.DelawareNorth.com.